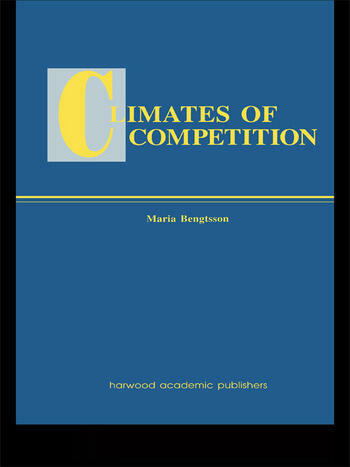 Climates of Competition studies the innovations and manoeuvres of geographically proximate competitors to further understand the nature and dynamics of competition. Through case-studies of manufacturers competing for shares in three industrial markets - agricultural machinery, processing equipment and heavy lifting equipment - a detailed picture of the nature of competition emerges. By combining questions of geography with those of corporate strategy, this study provides an advanced analysis of the relationship between competition and corporate learning processes.